The house meets the street with a stone wall, revealing little of its interior spaces. Nestled between this wall and the house proper is the entrance, connected to a small courtyard that creates a "restrained and quiet" space before the dramatic views of the living areas. 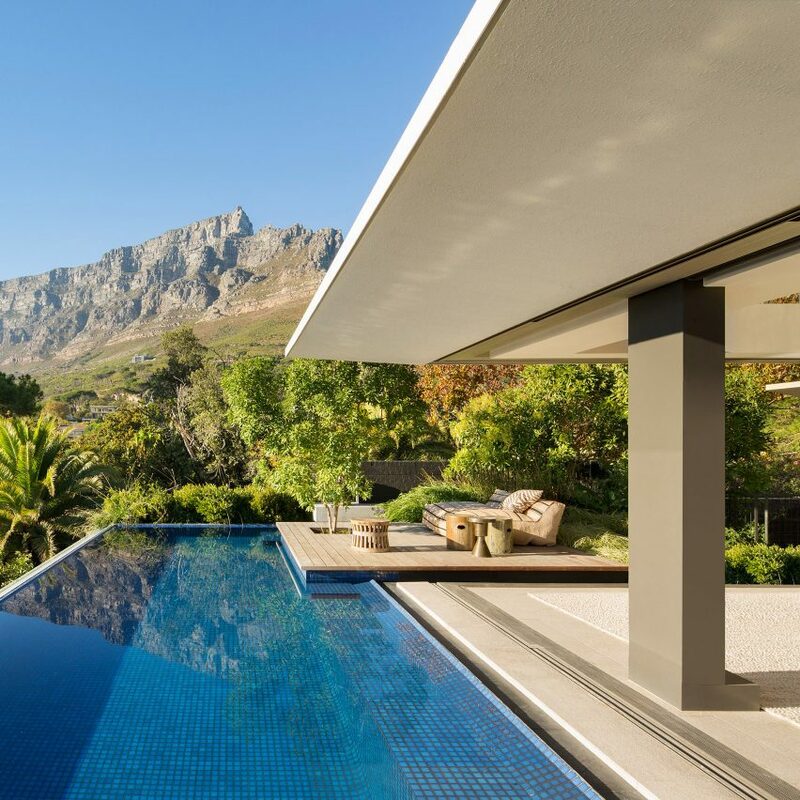 "The house presents a stone wall to the busy street that it sits on, revealing very little about its interior", said SAOTA. "At night, the inverted pyramid roof glows, adding to the intrigue".